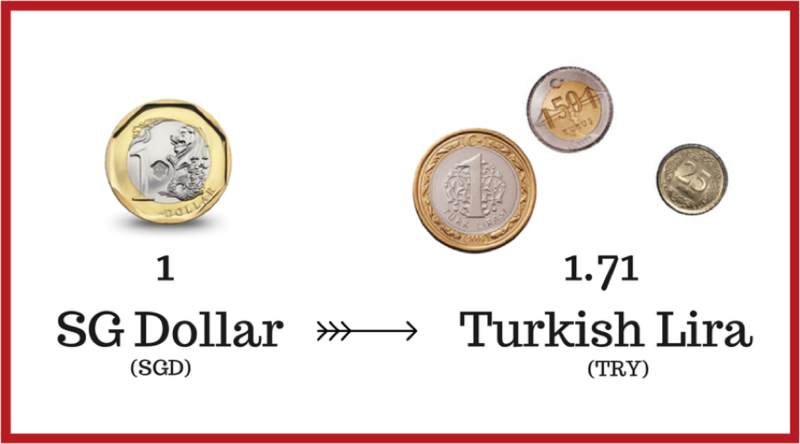 What Can I Buy With 1 Singapore Dollar In Turkey? Turkey is the only country in the world located in two continents. It is the meeting point between Asia and Europe, which gives Turkey a unique geopolitical significance and a natural role in bridging East and West. 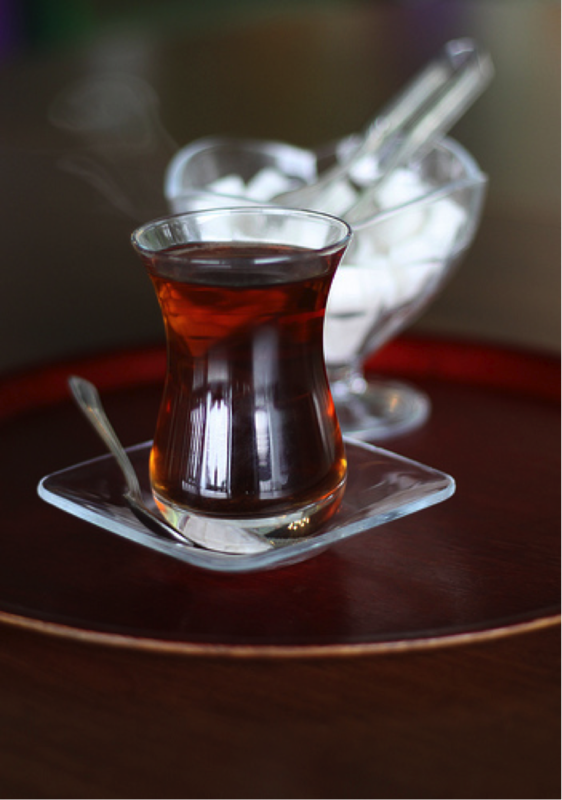 Turkish tea plays an ubiquitous role in the lives of Turks – it is an obsession, a daily routine, a welcome gesture, a conversation starter, a break from work and a national pastime. If you are a visitor, you can count on being served a tulip-shaped glass of steaming hot tea with two tiny sugar cubes on a saucer, and a little spoon to stir it all together. The cup is shaped in such a way so that it is easy to wrap your fingers around it (after it has cooled!). 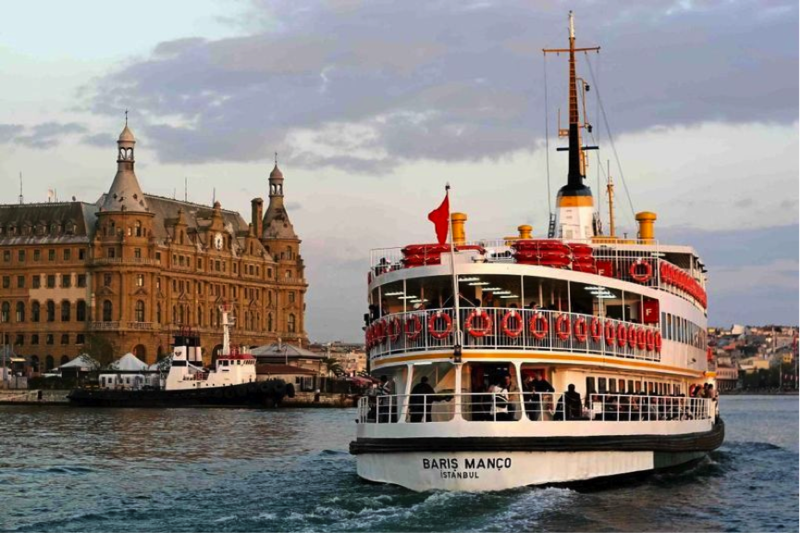 Getting from Europe to Asia couldn’t be easier in Istanbul, and what better way to do this than by taking the Eminonu Kadikoy ferry, one of the fastest, cheapest and loveliest ways to experience the two sides of Istanbul! 13. 1 piece of baklava at Karaköy Güllüoğlu, a traditional baklava shop in Istanbul (min. purchase of 3 required). 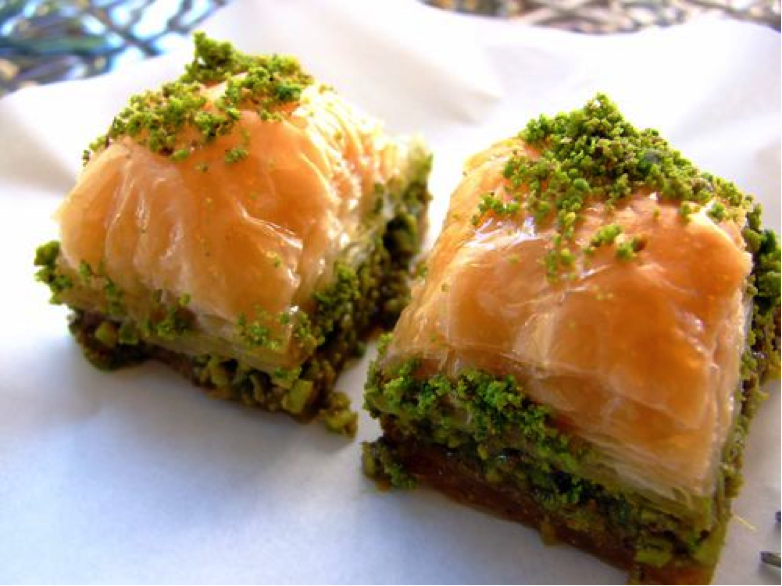 Baklava is a rich, sweet pastry made of layers of filo pastry stuffed full of nuts and doused in syrup. The layers are held together with even more syrup. This Karaköy institution has been serving happiness since 1947 (and we are not surprised if they are the reason for why Turkish dentists become obscenely rich too). Regardless, this mecca of all Turkish baklava joints is known to make the best in Turkey. They have even taught the wives of consular officials how to make them! Halka Tatlisi in Turkish means “circular dessert”, after its shape. 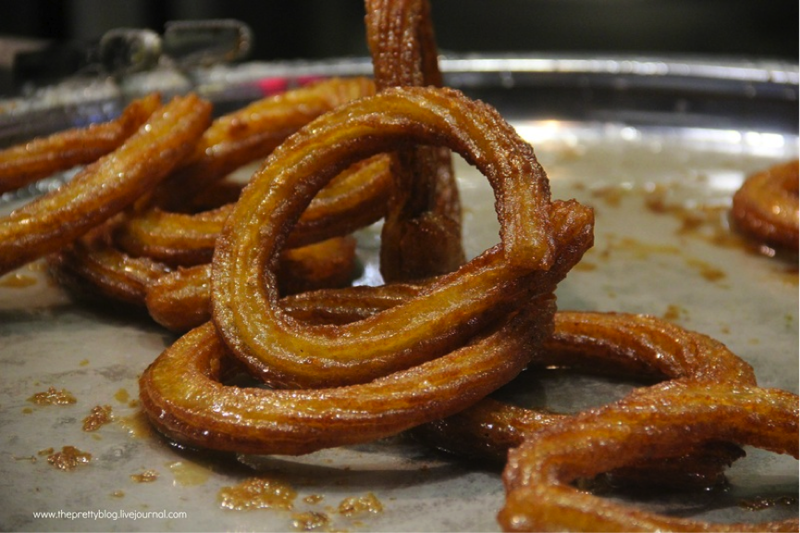 It is very similar to churros and is a very popular street food in Turkey. Interestingly, it is also known as the “brothel dessert” as street vendors apparently sell these in front of brothels. Because of this, it’s not a good idea to take Halka Tatlisi to a dinner party you’ve been invited to, especially when you’re not very close to the host. 5. 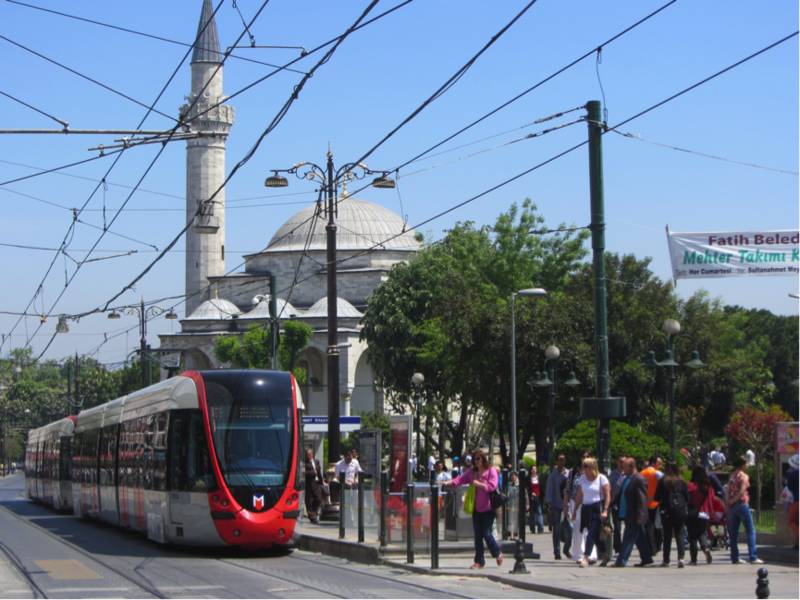 1 ride on the tram from Karaköy to the historic centre of Sultanahmet. Sultanahmet is the old city section of Istanbul where you can find many attractions including Topkapi Palace and the famous Blue Mosque. 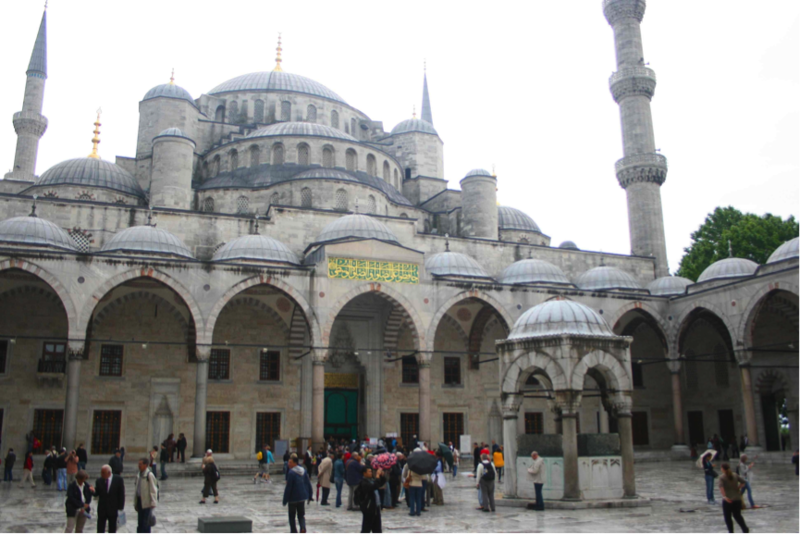 The Blue Mosque is the only mosque in Istanbul with six minarets. It is one of the most striking images of Turkey, and a centre of worship for Turkish Muslims. 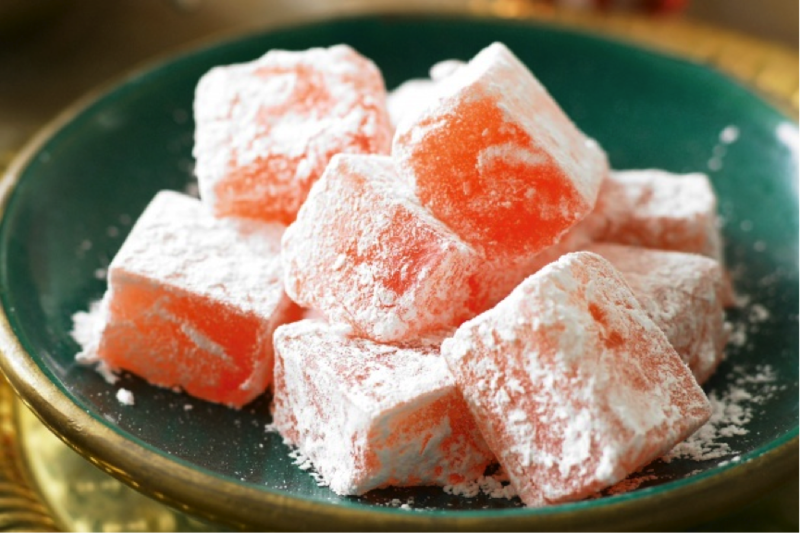 This rose-hued sweet has mysterious origins: some stories involve amorous Sultans on missions to impress countless mistresses; others credit its creation to a Turkish sweet maker, whose small packages of Lokum were bought as love tokens. Whatever its origins, there’s no better quintessentially-Turkish souvenir to bring home than a box of Turkish delight. 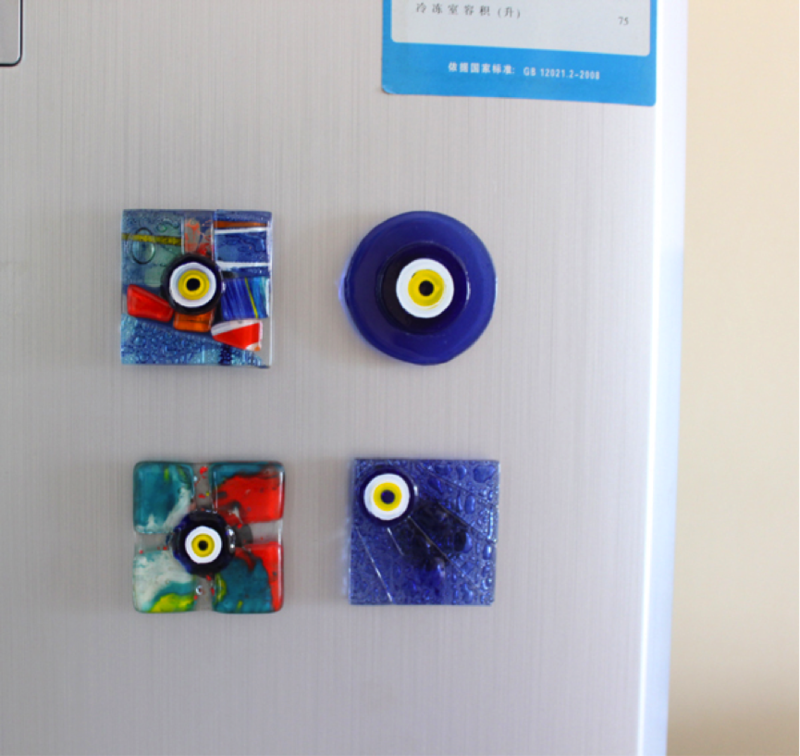 You can find this amulet all over Turkey. It can be seen dangling from the bumpers of taxis, and built into the foundation of even the most modern office buildings. 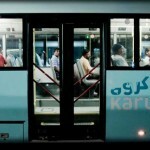 It is typically worn or used on new things which are likely to attract praise. The belief is that even compliments which mean well could include a conscious or unconscious dose of envy and resentment. As such, it is also a common practice for mothers to fix this amulet on their child’s clothes. With this Nazar amulet, the wearer will be protected from bad energy as it will be channeled to the amulet, reflect the evil intent back to the onlooker, and break. Once broken, the amulet has to be replaced. 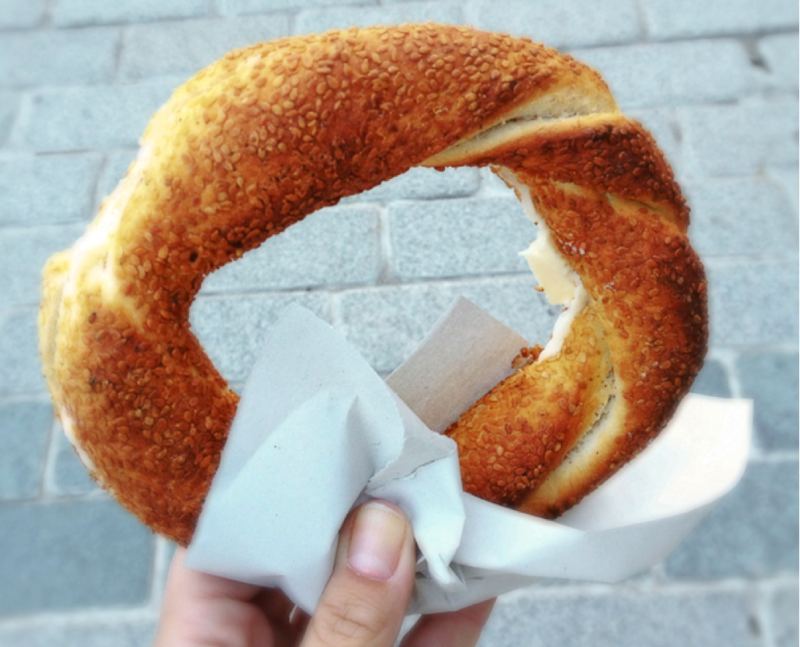 Forget about bagels and try Simit, one of the many street food available. 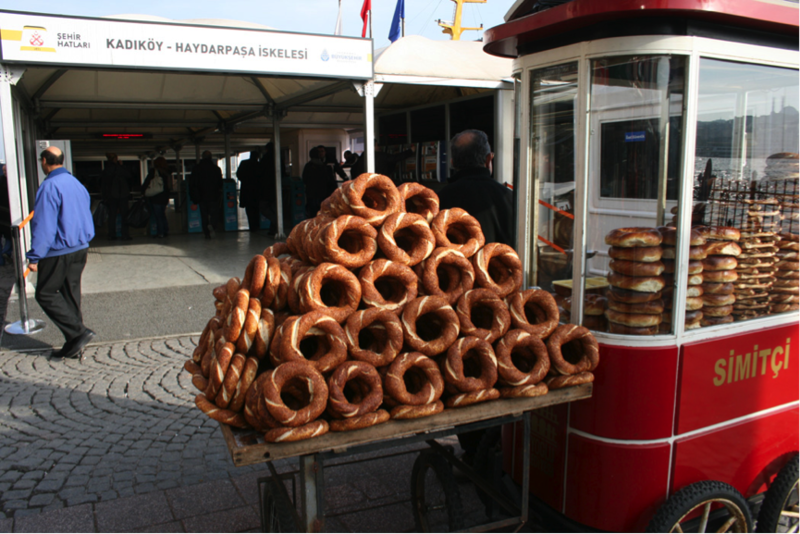 The Simit may not be exclusive to Turkey, but the use of molasses sets the Turkish Simit apart from those of the Balkans and the rest of the Middle East. 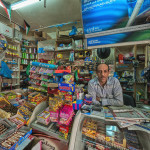 It is sold almost everywhere by street vendors with their special trays or red carts. Simit is eaten at breakfast with white cheese and sweet Turkish tea but you can eat it anytime of the day since they are so readily available! Take a closer look at all those sesame seeds! 9. A cup of Turkish coffee. Turkish coffee is like espresso, strong in taste and served in small cups. However, it’s made differently from the usual brew, resulting in a coffee that is much thicker than the regular kopi. 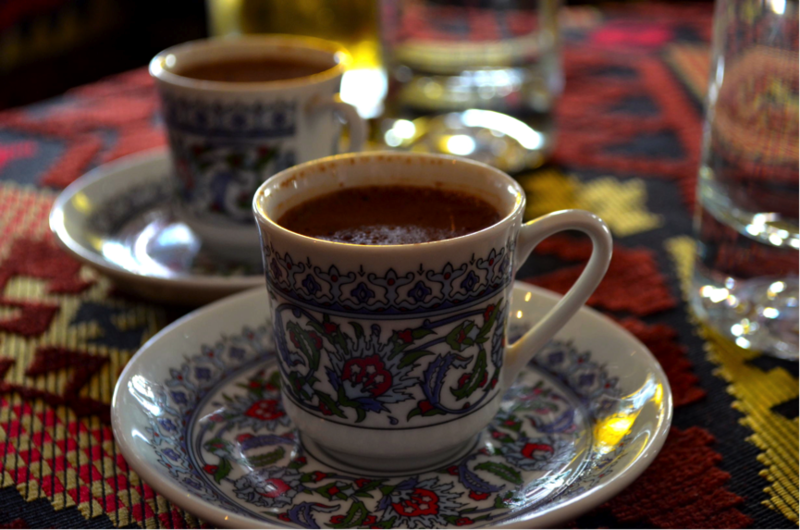 Turkish coffee is served at a very hot temperature and with a glass of water to freshen the mouth before each sip. There are 18 direct flights out to Istanbul from Singapore each week. 6 of them are on Singapore Airlines, which departs every day except Mondays. Turkish Airlines has about 12 flights flying out to Istanbul from Singapore per week. On most days, they have two outgoing flights. Total travelling time between these two cities is around 10-12 hours.